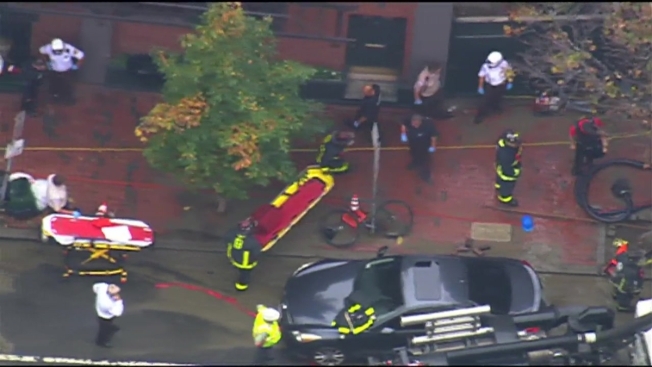 A company "failed to provide basic safeguards" in relation to a deadly trench collapse in Boston, according to labor officials, resulting in $1.48 million in penalties. Robert Higgins and Kelvin Mattocks, employees of Atlantic Drain Service Co., were killed on Oct. 21, 2016 when the trench in which they were working collapsed and filled with water from a fire hydrant supply line. The Occupational Safety and Health Administration has cited Atlantic Drain for "18 willful, repeat, serious and other-than-serious violations of workplace safety standards," the U.S. Department of Labor confirms. OSHA has proposed a fine of $1,475,813. According to the OSHA report, company owner Kevin Otto, who oversaw the work being done when the trench collapsed, did not take measures to protect his employees and did not train them to recognize such hazards. "The deaths of these two men could have and should have been prevented," Galen Blanton, the New England regional administrator for OSHA, said in a statement. "Their employer, which previously had been cited by OSHA for the same hazardous conditions, knew what safeguards were needed to protect its employees but chose to ignore that responsibility." Otto, according to OSHA, did not install a support system to protect the employees from a cave-in or to prevent the hydrant line from collapsing. Other violations OSHA named include failures to provide a ladder in the trench at all times, give hardhats and eye protection to employees, and remove support structures near the trench that posed overhead hazards. "We want to emphasize to all employers that trenching hazards can have catastrophic consequences if they are not addressed effectively before employees enter a trench," Blanton added. Atlantic Drain has 15 working days after learning of the citations to meet with an area director for OSHA to contest the penalties.